When traveling, your mobile devices can be very important. In a pinch your smartphone can be a camera, map, translator, currency converter, and much more! So knowing you have enough battery power to get you through your adventures is a relief. Enter the Mophie Juice Pack Boost! Mophie has built a solid reputation for their portable battery chargers, which help to extend the battery life for a variety of devices. While Mophie does offer several options for batteries integrated into phone cases, I like my TARDIS case and also didn’t want the added thickness the battery brings. So, I chose the Juice Pack Boost. One can tell build quality of the Juice Pack Boost simply by holding it. With a slightly rubberized body and cool metal edging, the Juice Pack Boost feels solid and durable. The pack is a little smaller than my iPhone 4S lengthwise and about as thick. I chose the (Product)Red version and the pop in color is nice. There is an indicator on the top to see how much charge is left and this can be activated by pushing the button just below on the side of the pack. The connector folds into the pack easily, so there is no awkward disruption in the lines of the device. The one flaw in the Juice Pack Boost’s design is that it can be difficult to connect it to a phone with a “bumper” edged case like mine. Usually, I give it a little extra push to make sure it is secure and try not to move it around too much when in use. 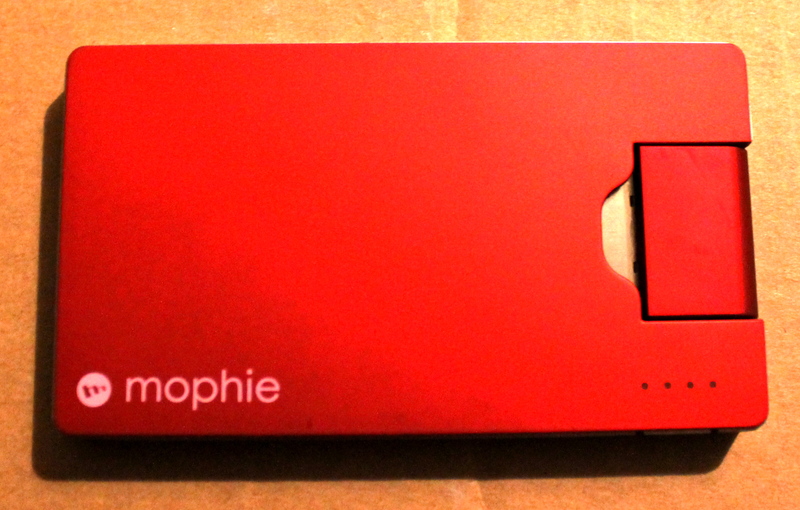 However, this isn’t really something Mophie can do much about since it is a case by case basis. The Juice Pack Boost can transfer its entire charge to my phone in about twenty minutes. While the phone’s battery level rarely gets to 100% full, its enough to get me through until I have access to the phone’s charger. The pack itself take quite a bit longer to charge up, on average about two to three hours. Mophie does include a USB charging cord with the Juice Pack Boost. Even on days when I didn’t use it, the pack held its charge. Overall the Mophie Juice Pack Boost is a solidly designed product with great performance. Despite, the slight issue with my choice of case and the connection, I would heartily recommend this to anyone in need of extra power on a portable device. 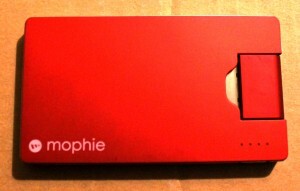 The Mophie Juice Pack Boost is certainly worth the price, especially to those who may use it often. 1 Pings/Trackbacks for "Mophie Juice Pack Boost Review"